The perfect gift for any jewelry lover, this care kit has been developed especially for PANDORA jewelry pieces and will preserve the beauty of your precious collection. This care kit includes a clasp opener, a cleaning brush, two polishing cloths, two pouches and a care guide. Soft cleaning brush: a brush that is soft enough to be used on all PANDORA jewelry. Anti-tarnish pouch (black): to store the jewelry and protect it from tarnishing. Pouch in cotton (white): to store PANDORA Rose™ jewelry. 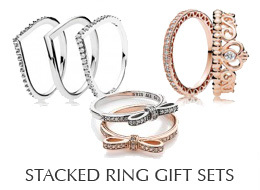 It will not protect the jewelry from tarnishing. Polishing cloth with cleaning compound (black): is more effective on silver jewelry, but it is not recommended to use this one on PANDORA Rose™ jewelry. Polishing cloth without cleaning compound (white): can be used on all PANDORA jewelry. Clasp opener: a new design of the clasp opener, which can easily be used on any PANDORA bracelet (including PANDORA Essence Collection) or clip. Care guide: a small booklet containing care instructions on PANDORA jewelry and referring to the contents of the care kit.